Every airplane tells a story, both as you approach it, through its lines, its condition, its patina of paint, as well as in flight, by the weight of the cargo and mission it has borne. Every airplane that flew during the Normandy Invasion, on D-Day, June 6, 1944, executing any number of the individual missions of the day, carried far more than that. They carried their men inside, whether pilot or maintenance chief, paratrooper or glider crew on a string. On board one of the Douglas C-47s that flew that day, even to this day, you can smell the sweat and the fear and the hope that this long shot would work. 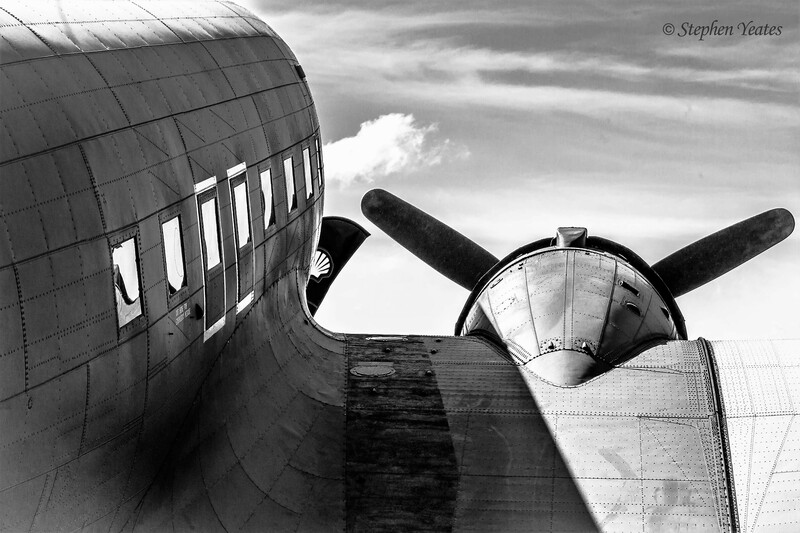 Every airplane tells its own piece of a greater story. So to bring more than three dozen of them together for the 75th anniversary of that fateful day means more than just a sum of the logistics and collaboration, the pride and even vanity of accomplishing yet another transatlantic crossing in a classic warbird. 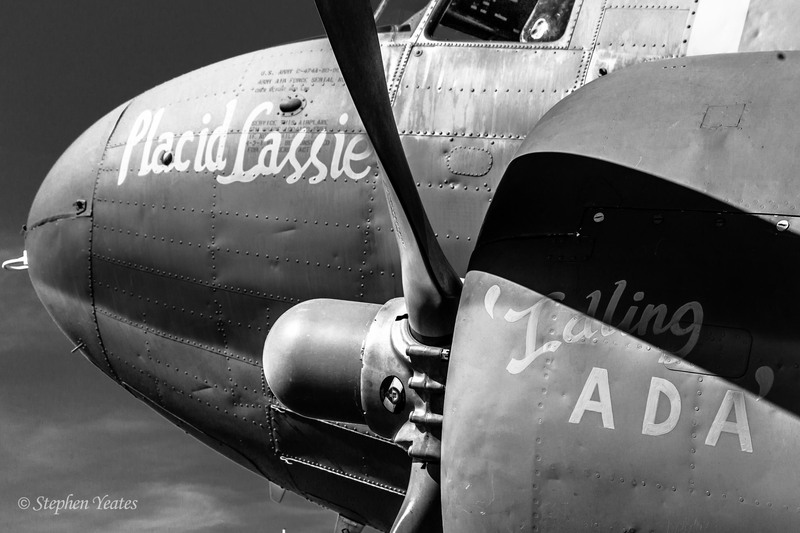 That’s why, come 2019, the gathering will feature everyone’s collective effort, as C-47s such as Placid Lassie, operated by the D-Day Squadron (an arm of the Tunison Foundation based in Georgia), make the once—now twice–in-a-lifetime trip. Daks Over Normandy staged a gathering of D-Day airplanes at Cherbourg in June 2013 to commemorate 70 years since the invasion. While poignant and well-received, the experience that the person on the ground and outside the airport fence could have with the airplanes and their crew lacked the engagement that the organizers hoped for. Restrictions at the French airfield made it nearly impossible for folks outside the flight crews to visit the airplanes, to see them up close, to smell, touch, and even taste the stories emanating from within. To solve this missed opportunity, Daks Over Normandy and its partner organizations plan two parts to the 2019 event. The first will bring the North American based aircraft over the pond into Duxford, England, via the northern route, currently planned to depart from the Waterbury-Oxford Airport in Connecticut and fly via Presque Isle, Maine; Goose Bay, Labrador; Bluie One West (now Narsarsuaq airfield, in Greenland); Reykjavik, Iceland; Ireland, and then on into England. While lighter aircraft with less range make the crossing all the time, doing so requires not only a lot of investment ($75,000 to $100,000 per airplane) but also logistics such as staging enough avgas at Narsarsuaq to service the series of C-47s and DC-3s with their large fuel tanks. Even so, the participating airplanes will make the trip in flights of 3 to reduce the load on the single fuel truck stationed there. The second event recreates the invasion itself, in modern form, with the aircraft departing the south of England for the Normandy coast on the eve of the anniversary itself for fly-bys and parachute drops in France over the following days. While in France this time, the aircraft will base out of Caen, and total 36 in number, including aircraft planning to come in from as far as South Africa. Placid Lassie may be known to folks as Union Jack Dak, for the UK flag it wore on its fuselage following its initial a few years back. In her wartime livery, she flew in all manner of operations in the European Theater during the war. She’ll be joined by Virginia Ann, a C-47 from California, a veteran of Market Garden as well, and the Liberty Foundation’s C-47 that was used to recover parts from Glacier Girl in Greenland’s ice—among many others. The founders of the D-Day Squadron plan more events around and following the anniversary commemoration, starting with a formation flight near Manhattan prior to the crossing, and a visit to Berlin to honor those who served post-war in the Berlin Airlift. ”We’ll start in war and finish in peace,” said Eric Zipkin, chief pilot for the group. And, if all goes according to plan, about 10 of the airplanes will fly to Oshkosh 2019 to close the chapter—and continue the D-Day Squadron’s continuing mission of education and outreach. To this end, the D-Day Squadron is recruiting one veteran and one student from each of the 50 states to experience the D-Day flyover in France. As we remember D-Day today, in 2018, preparations have long been underway for next year’s extravaganza. While the organization actively seeks sponsorship and likely has key players on board by the time you read this, you too can help to support their mission. Visit ddaysquadron.org for more information.